What is a Hidden Shackle / Puck Lock? 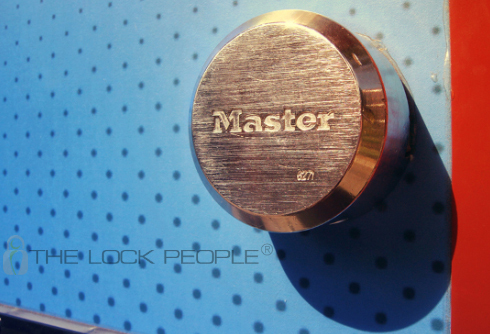 Master Lock ProSeries® Hidden Shackle Padlocks aka ‘Hockey Puck Locks’ are High-Security padlocks. It gets its nickname ‘Hockey Puck Lock’ from its unique rounded shape. The padlock is shaped this way to encase the shackle, the piece that locks the lock. Standard padlocks, that most people are familiar with, have a U-shaped shackle that is visible, which makes it susceptible to bolt cutters, sawing, or filing. The Master Lock Company carries two Hidden Shackle Padlocks: Master Lock® Model No. 6270 and Master Lock® Model No. 6271. The No. 6270 is a Chrome Plated Solid Steel Padlock which is more durable to weathering compared to the No. 6271 which has a Reinforced Die-Cast body. The Hidden Shackle Padlock is part of Master Lock’s ProSeries®, a high security padlock line ideal for industrial and commercial use. ProSeries® padlocks feature hardened boron alloy shackles for superior cut resistance, dual ball bearing locking mechanism that resists pulling and prying, 5-pin & 6-pin cylinders, spool pins, and rekeyable cylinders. What hasp is best to get with the Master Lock® Hidden Shackle Padlocks? It is recommended to purchase the appropriate hasp with your Hidden Shackle Padlock. The No. 770 hasp is built to accompany both the No. 6270 and No. 6271, which provides extra security by adding a protective barrier that surrounds the lock. This protective barrier blocks the lock from being pried or cut out of the hasp. Installing your hasp and Hidden Shackle Padlock is easy, if you follow these simple steps. Step 1: Take your hasp and pre-position it to where you want to apply your lock to ensure it fits. Note that the hasp should be flat against the target surface. Step 2: Mark the screw holes where it seems best fit. Step 3: Use a screwdriver to mount your hasp. Step 4: Take your Hidden Shackle Padlock, open the shackle and place it on to the eye of the hasp and turn the key to the locked position. The ‘Hockey Puck’ Lock is unique, not only aesthetically, but in the way it provides substantial security. The Hidden Shackle Padlock, together with the No. 770 Hasp, increases security no matter the application. Whether you’re securing a Gate, Truck Door, Vending Machine, or Trailer Master Lock ProSeries® will equip your business with the best physical security possible.